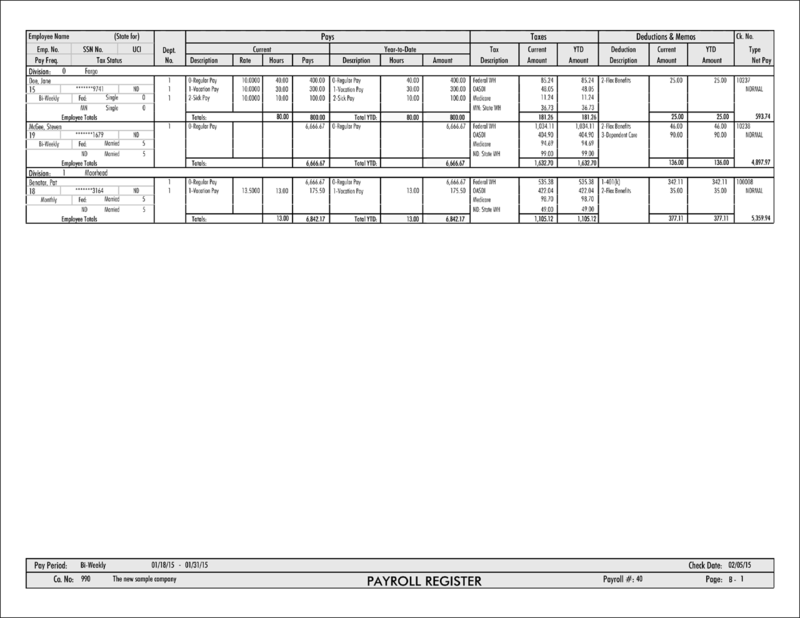 A payroll register report details paycheck information for each employee during a given pay period. Each row corresponds to an individual employee and the pay they have received including year-to-date earnings. 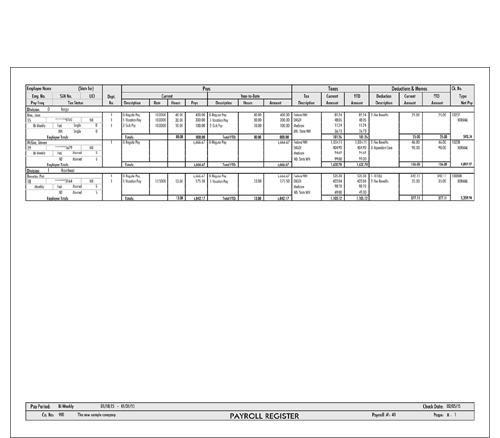 This report is sent to you after every payroll for your records.